A rich society woman uses a gangster to win a congressional election. 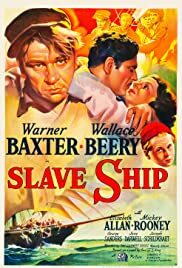 William Faulkner must have envisioned "Slave Ship" as a dark commentary on the curse of slavery(the "cursed ship" element is abandoned early on) and the studio tried to turn it into a typical adventure yarn. The results are strangely tasteless, unsettling, and facinating. This is a bad movie, but one I highly recommend. The movie seems to be saying "these people veiwed things in a different way, but the best of them rose above slavery." We feel almost as much distance to movie makers, as Wallace Berry is mostly viewed as a roughish but likeable scoundrel; though we learn early on he is a genocidal mass murderer. Though only seen in short glimpses, the inhumanity of slavery is fairly well expressed. It's the fairly casual context of subject that is allmost chilling. 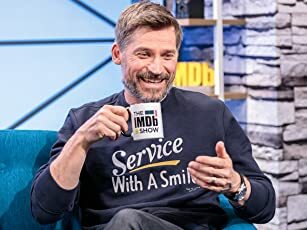 But see it for yourself and decide.